Elsa Gidlow was a prominent Bay Area poet who became an important mentor to many lesbian feminists during the 1970s. Born in 1898 in Hull,England, she emigrated with her family to Montreal while she was still a small child. Then at 19 she moved to New York City. 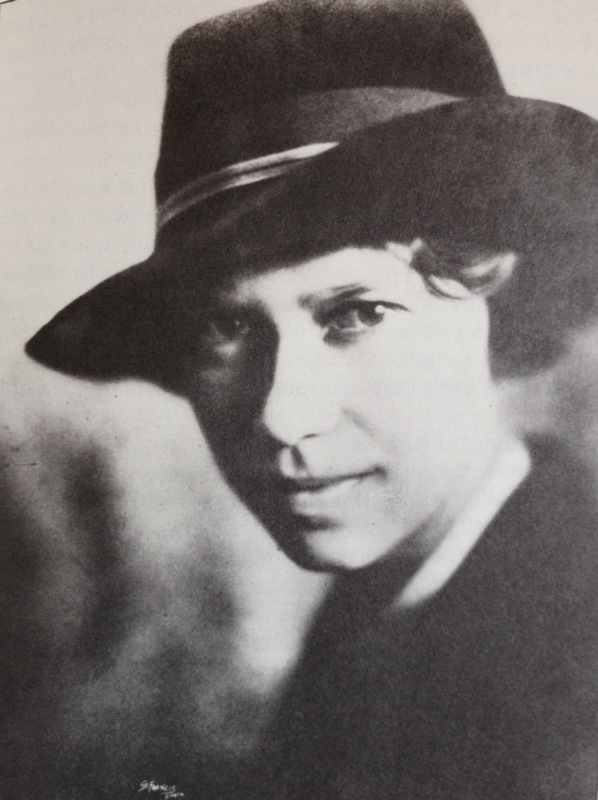 By 1921 , Elsa published On A Grey Thread , the first openly lesbian book of poetry in the United States. Elsa was one of the lesbians featured in "Word Is Out". In addition to several books of poetry and numerous articles, Gidlow published her autobiography, Elsa: I Come with My Songs, in 1986. Her papers are now part of the collections of The Gay and Lesbian Historical Society of Northern California. Her manuscripts and writings detail her relationships with other women and her many friendships with people like June Singer, Alan Watts, Lou Harrison, Frank Harris, Robbinson Jeffers, Clarkston Crane and Ella Young. The collection documents Gidlow's personal life, public activity, and literary accomplishments from 1920 until her death in 1986.
. . . that house on Redwood Road in Fairfax, Marin County, became mine by the Winter Solstice of 1940. I called it Madrona. I spent the Yule season there, though the house was not really habitable. I felt a deep need for a transforming ritual, one that in the fortieth year of my life would set me on a fresh course. Seated beside the hearth of the empty house I knew it would begin there. I was alone in the midwinter dusk. Torrents of rain beat into decay what was left of stalks and leaves of the past season and dripped through the roof of the first shelter that was my own. A surge of hope began to replace the defeat that had undermined my will to continue. 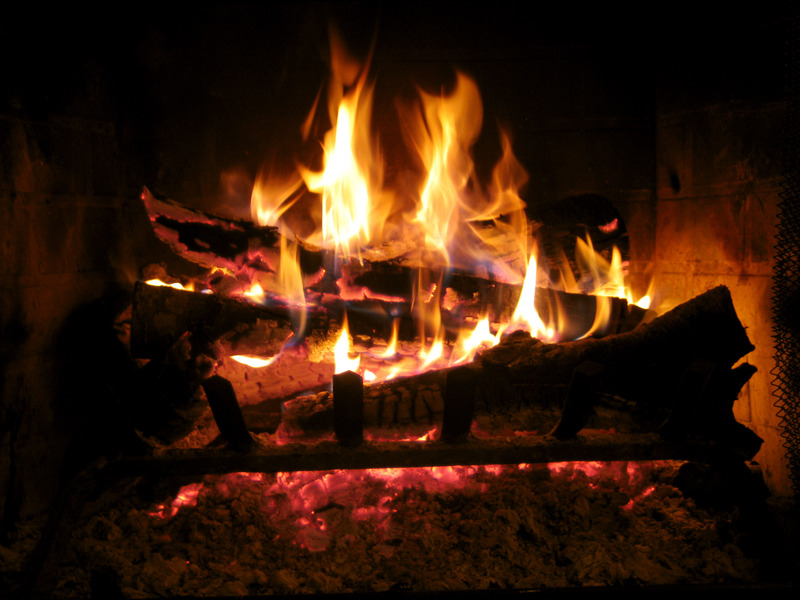 The latter seemed washed away in the deluge outside as I kindled a roaring blaze in the cold fireplace for the first time.It was triumphal retort to the roaring wind outdoors. Marcelina Martin 1985 I have said I was alone. Yet, as I added twigs and dry boughs, then madrone logs, the firelit room became peopled by presences: spirits of women. Women I had known: mother, grandmother, elder aunts, and back, back, back, all the women through the ages who had kindled and tended sacred and domestic fires. The elements that feel to me most kindred are water and earth . Fire seemed an opposite power, yet fascinating. That dusk of my fortieth year I began to see why. My thought revolved around the recent transitions of my life: from city to country, concrete to earth, from rented flat to my own space, from the death of a beloved and a tumultuous relationship to solitude. As the rain poured down and the storm shook the small redwood house, there was born the possibility of a joyous sense of connectedness. A tilting stormbattered house, an emotionally and economically precarious era, at the doorstep of mid-life with no obvious achievement other than survival: none of them mattered. Deeply inward, something new was happening. I watched the burning madrone logs contribute to one another glow, each keeping the other alight. I again felt the presence of the women who had been familiars of this element. I heard their voices telling me: this fire on your hearth is neither individual nor separate any more than your living self is separate from us. We are part of one another as your small blaze is part of our chains of fires linking the centuries, a spark of the cosmic element itself." For a moment, I wondered... fire not a separate element? Then I saw. This fire I had lighted included earth, air, water, and my human agency. The wood that nourished it included the tree nurturing earth, the water that had made its food available, the air without which it could not live or bum. The flame on my hearth was composite of all the elements. I comprehended why it was a symbol of the sacred. Before going to bed, I placed more logs on the glowing coals of the evening fire. In the morning, the first dawn of my renewed life , the still smoldering cores of the logs seemed telling me what to do. Madrone wood bums like coal. I placed it on a metal dustpan and took the logs out into the gently rainy morning, there to become charcoal as they quickly ceased consuming themselves. When the remains of my Solstice Fire had cooled, I wrapped them in foil, tied with a piece of red ribbon and placed the first of all the subsequent Solstice Fire Logs, each to kindle the next, for all the years of my life up to the present. When I finally moved to the place I call Druid Heights, the most precious of all I took with me was the residue of the last fire in Madrona. My poem, Chains of Fires was slowly shaped from this ritual,dictated by the women who visited me that midwinter dusk. Touching the match, waiting for creeping flame. Sharing live coals with the tribe. Every hearth-keeper has known this. We know the terror of rebirth.